Q Salt Lake, the monthly LGBT magazine, is in a spot of financial trouble  and owner-publisher Michael Aaron is reaching out to the community for some help. Aaron went to the internet to ask for support, to pay off a home-equity loan (taken out in 2004, when he founded the publication) that is due in September. The publication needs $40,000 by the first of September to pay off the loan. 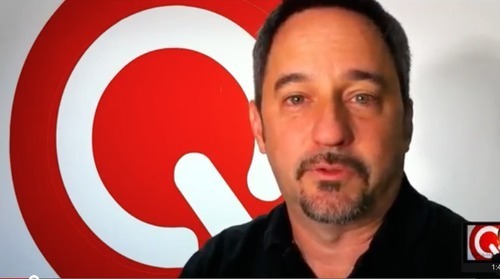 "We must come to you  our community, our readers and our friends  to help us over this hurdle," Aaron says in a video on a website, saveq.org, designed to take donations. For a donation of $40 a year in Utah (and $50 elsewhere in the United States), Q Salt Lake will mail donors the magazine to their homes. For $100, donors also get a thank-you card signed by the staff, as well as a DVD copy of "Milk." For a $1,000 donation, a donor gets all that, two tickets to Q's Fabby Awards ceremony, and his or her name listed in the magazine from now on. For $5,000, one gets all that, plus Aaron will host a private dinner. And for $10,000, the website says, the donor will receive "undying love, a sticker the size of Mars, perhaps you should name it. A huge thank you would have to be the beginning." As of Thursday afternoon, the fund drive has raised $15,180. that leaves $24,820 to go. And the clock is ticking.